Zero Toxics - Bringing our everyday exposure to toxic chemicals to zero. This is a brand new website doing a brand new thing. ZERO TOXICS is about bringing our everyday exposure to toxic chemicals to zero. Hello, I’m Debra Lynn Dadd. For forty years I have been helping people who want to be healthy to find toxic-free products. For most of this time I identified toxic-free products by looking for products that were made without specific toxic chemicals or made with materials I knew to be safe and natural. But times have changed. As toxic-free products have become more in demand, there are more and more claims and certifications and makers of products making products without having the background to understand what’s toxic and toxic-free. And we have media and bloggers making statements with no substantiation or any understanding of products or materials. 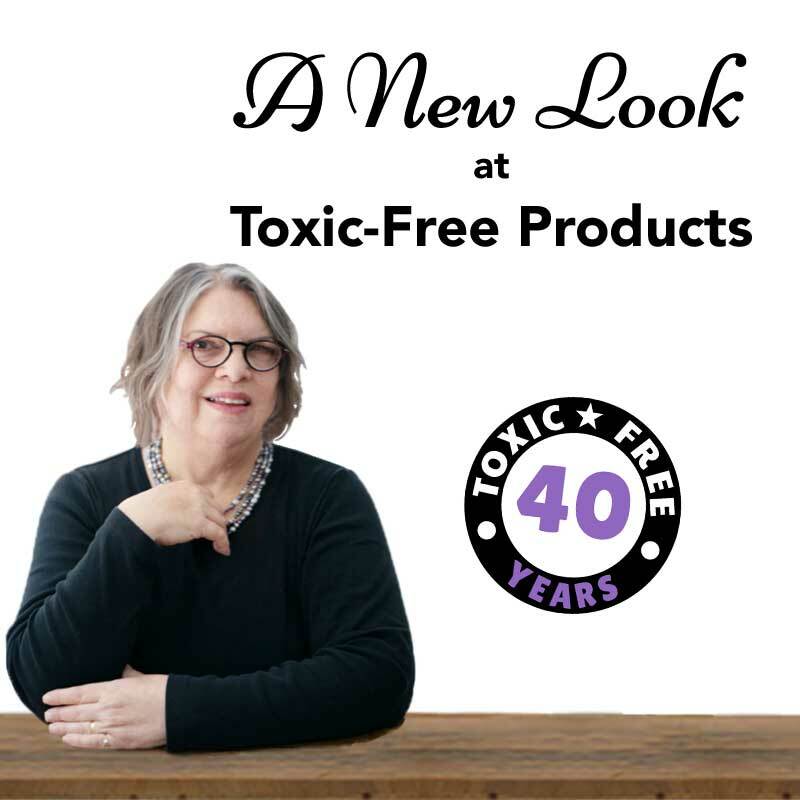 I created Zero Toxics to help people who want toxic-free products to decipher the words, symbols, claims, and other information given on product labels and websites, so they can be certain a product is toxic-free. 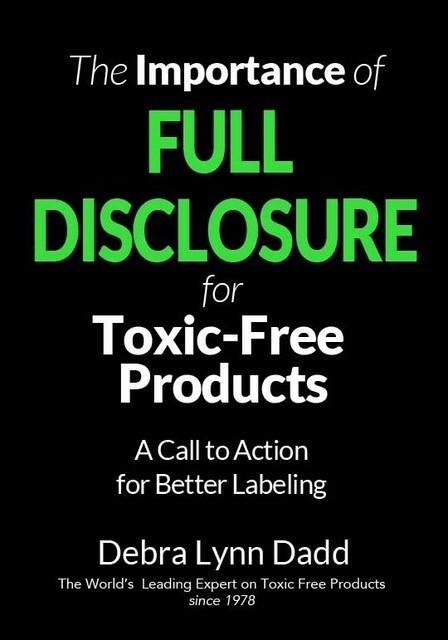 And, on the flip side, to help makers of toxic-free products disclose their materials and otherwise communicate about their products in a way that is clear, simple and helpful. It has taken me ten years to figure out and build the structure of this site. Now that I’m starting to fill in the content and put the pieces of the puzzle together, I’m seeing toxic-free in a whole new way. I see not only what’s available now, but I also am seeing the gaps that need to be filled in as well as the possibilities I didn’t know existed. I am more encouraged than ever and excited to be working on this. There is a viewpoint emerging in the world that acknowledges toxic chemicals exist and is looking for and creating ways to live well without them. I am not alone in this. With this website, I’m starting to put the puzzle pieces together so we can all see that toxic-free is coming to be. After 40 years of research on the health effects of toxic chemicals commonly found in consumer products we use every day in our homes, I’ve come to the conclusion that exposure to toxic chemicals from consumer products is the #1 health problem in the world today. These chemicals of concern are known to be toxic, yet they are allowed to be present in our products, mostly unregulated, and not always listed on labels. When we shop, each one of us, individually, is faced with the task of determining if a product is toxic or not—every time we make a purchase. But this is easier said than done because often it is very difficult to find out what the materials are, and even when the materials are know it is difficult to determine if they are safe to use or not. This is why I created Zero Toxics—to answer these very questions. The KNOWLEDGE BASE explains common materials and their health effects, so you can decide for yourself if this product is safe or harmful for you. It also has information on certifications and labeling laws and everything else you may want to know that will help or hinder your choice of products. I’m so thrilled to finally have this space where I can make a post about a chemical or a material or a certification, or Prop 65 and then be able to link to it elsewhere. This is going to make it much easier to write and it will be much easier for you to read because I’ll be able to link to words you may be unfamiliar with and you can begin to learn them. The PRODUCT REGISTRY contains Materials Disclosure Statements from manufacturers, which contain full materials disclosure for toxic-free products. And best of all, the two parts are fully interlinked so you can click on a material in the Product Registry and it takes you to a materials page in the Knowledge Base that gives you all the data you need for that material to make an informed decision. There are many reasons I created Zero Toxics. This is so important to me, I’ve been working on it for ten years. 1> I’ve been doing this work for 40 years and I want to pass along what I’ve learned and others want me to leave this legacy too. 2> I believe everyone has the inherent right to Life, Liberty and the pursuit of Happiness. And exposure to toxic chemicals interferes with yjid basic right. People shouldn’t be poisoned in their own home without even knowing it. When we learn about the subject of toxics in consumer products we then get to make a choice about whether we want to be poisoned or not. 3> FTC Green Guides require substantiation. Many products are making claims with no evidence, I want to provide evidence that backs up my recommendations and encourage manufacturers to make full disclosure of their materials. Toxic chemicals in consumer products is a complex subject, but it can be learned and applied in life with beneficial effects. My intent is for Zero Toxics to be a place where information can be gathered, studied, shared, questioned, challenged, discussed, and above all used to educate consumers, manufacturers, healthcare professionals, so we can find some common ground of truth and use that truth to create a healthful, safe, marketplace for everyone, around the world. My personal goal is zero exposure to toxic chemicals. I achieved that in my own home a long time ago and started helping others do the same. But every time I walk out my door i walk into a toxic world. Now it’s time to eliminate toxic exposures in the world. I have to say that since I’ve been working on entering content into the Knowledge Base in this format, my whole understanding of the field has changed and I’m seeing everything in a new light. I’m seeing all the many things that are going on in the world to move beyond toxics. There are many things going on behind the scenes that we don’t see on the consumer side of the product. I will be including everything I learn on this website. A very important part of Zero Toxics, for me, is to create a place where community can be created and fostered and expanded. While many are working on toxics issues in various ways, I’m the only one who is doing the work I do with regards to toxics in consumer products. More people need to learn what I know so thinking toxic-free becomes part of the fabric of our society. We need more co-operation and alliances to make a bigger effect in the world. So please comment and communicatie and get to know each other. I’ve provided the tools to help you do that.